Haitian politicians are talking about dialogue but what some of them really want is for president Jovenel to resign. Does the dialogue include the departure of President Jovenel from power? Prime Minister Henry Ceant replies. "The dialogue has to lead to a political accord," Ceant said, "a pact of governability for the country, that's what we need." An accord "that can take into account the resignation of President Jovenel Moise and the end of this government?" a journalist asked during an interview in Tele Metropole Monday. "We cannot put Jovenel Moise in it because Jovenel Moise was elected and chosen by the people of Haiti. The dialogue can be done on every other thing that can allow Jovenel Moise to run the country more effectively but we cannot add his departure in it." "But some political actors, this is what they want in order to sit down and talk in this dialogue." "If you agree to enter into a dialogue, you have to be flexible," The prime minister replied. Question: Will Moise Jean Charles, Andre Michel, and Schiller Louidor be flexible in this proposed dialogue? After all, it is clear, they want nothing to do with President Jovenel Moise. 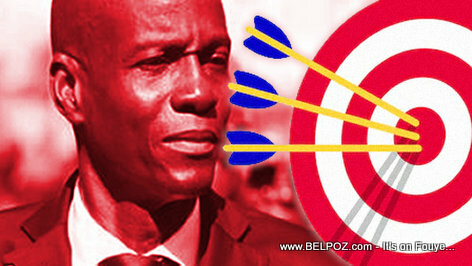 « Haiti Dialogue: Did Andre Michel and Schiller Louidor speak to Prime Minister Ceant? Clair, Net, Simple et Precis.